With a successful inaugural year in 2017, we are excited to keep the cheeses flowing into 2018 and beyond. 40 of Houston's best restaurants will serve samples of their creative take on your favorite creamy snack, paired with libations, live music, local vendors, art and engaging activities. Early Bird tickets are available now on Eventbrite. Pricing increases 1/4/18! VIP - Skip the lines with event entry 1 hour earlier than General Admission (entry at 12pm), VIP lounge access, Unlimited food+drink samples and vote for People's Choice Best Mac+Cheese. 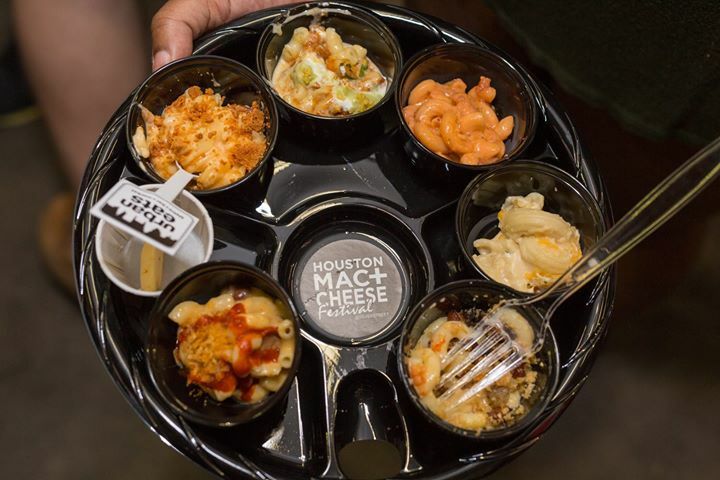 General Admission - Unlimited food samples, 5 drink tickets, and vote for People's Choice Best Mac+Cheese.